Would you pay $1200 for an action figure? Probably not, but enough people felt that was a sound investment to cause this Attack on Titan figure to sell out. 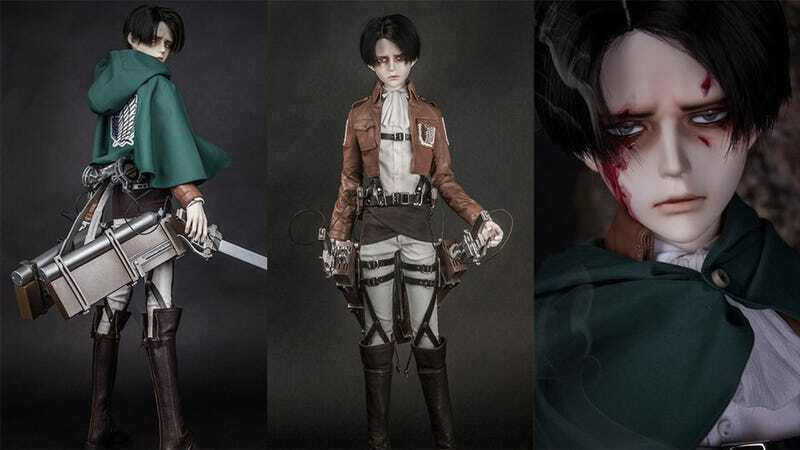 This Levi figure is a special Attack on Titan x IOS x DOLK collaboration. As you'll see below, it's not just highly posable, but incredibly detailed as well, from the individual strands of hair to the finishing touches on equipment like buckles. It had gone on sale for ¥123,900 (around USD$1180).